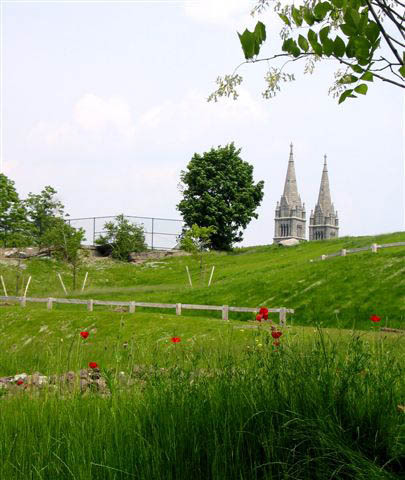 The development vision created by the MHNHS community planning process for the Ledge Site included the transformation of upper portion of the Ledge Site into a new 5.5 acre passive park, originally named Puddingstone Park after the stone quarried from the site. On November 18, 2006 family, friends and colleagues joined together to name Puddingstone Park the Kevin W. Fitzgerald Park. 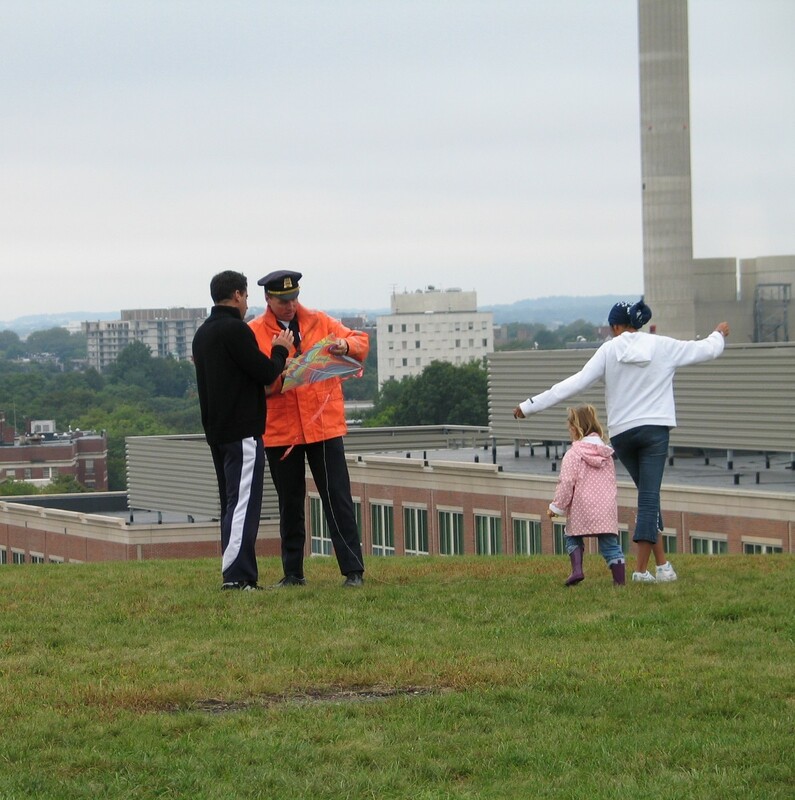 The Park is dedicated to Kevin’s passionate leadership as Mission Hill’s State Representative from 1974 to 2002 and to honor his unwavering commitment to the residents and community of Mission Hill. A Park Master Plan has been created to help guide future improvements. Contributions are welcome from institutions, corporations and individuals. Items available include memorial bricks at the St. Alphonsus entranceway, park benches along a path, trees, and puddingstone rock gardens with shrubs, grasses and flowers. All donations are acknowledged with a plaque on the individual item or on the Donor’s Plaque placed in the Park. 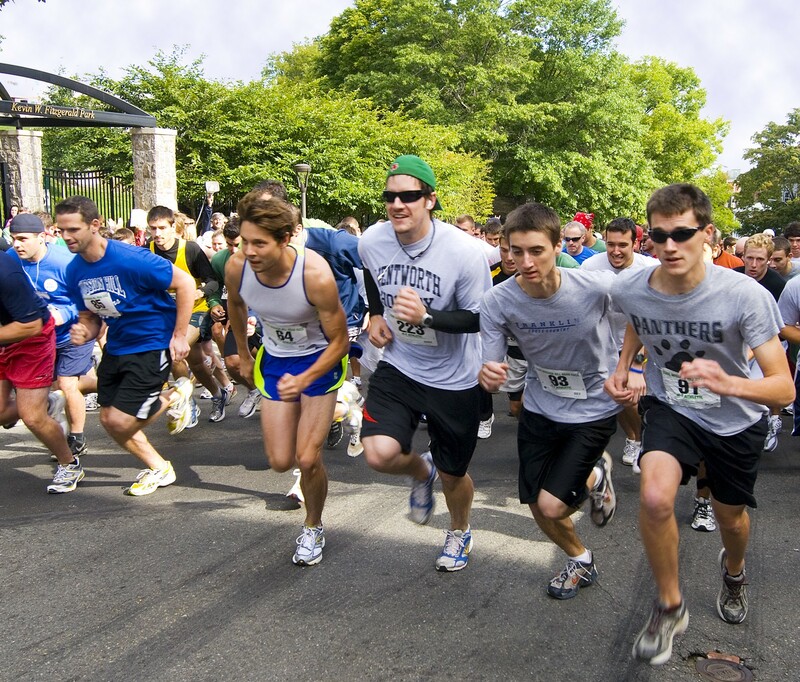 Funds raised from the Annual Mission Hill 5K Road Race, held on the third Saturday in September, are also used to support improvements in the Park. 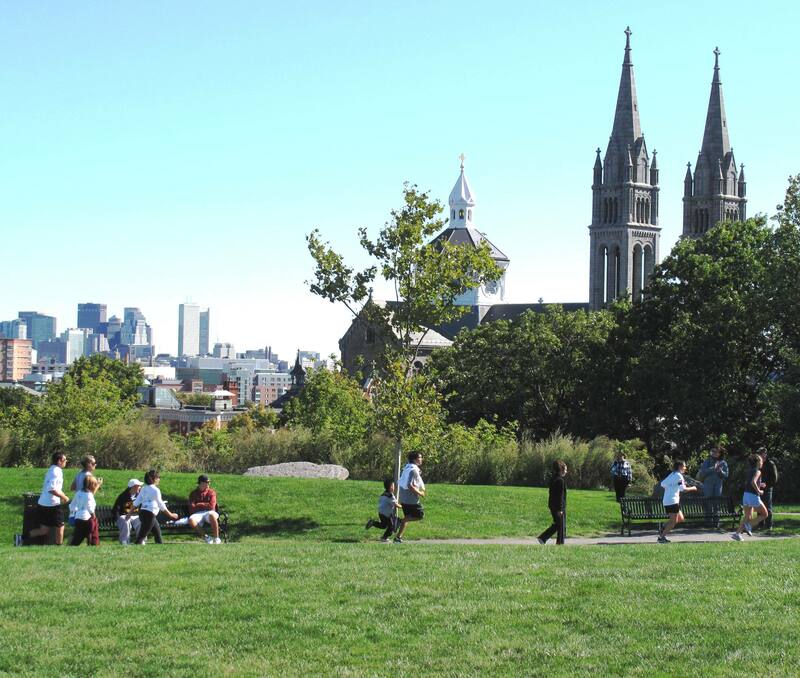 The Kevin W. Fitzgerald Park, envisioned by the residents of Mission Hill, offers an unique experience. 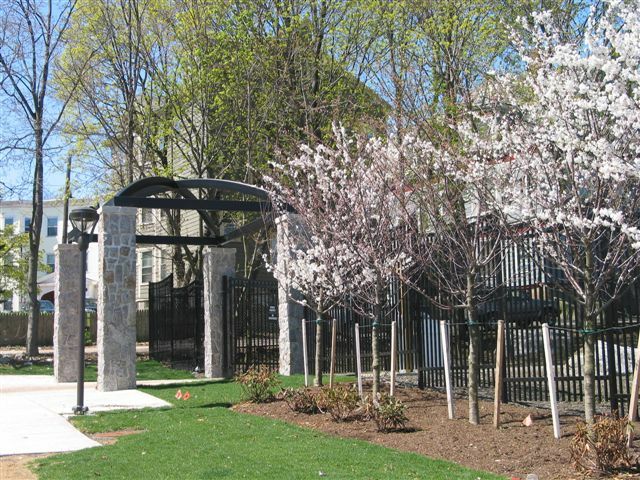 As you approach the Park from St.Alphonsus Street you’re greeted with a landscaped lawn area that includes a bed of annuals, rhododendron, and Spring flowering white fringe trees. You enter the Park under a grand steel archway supported by puddingstone piers constructed from stone from this site. Walking the paths you see boulders of puddingstone surrounded by wild flowers. 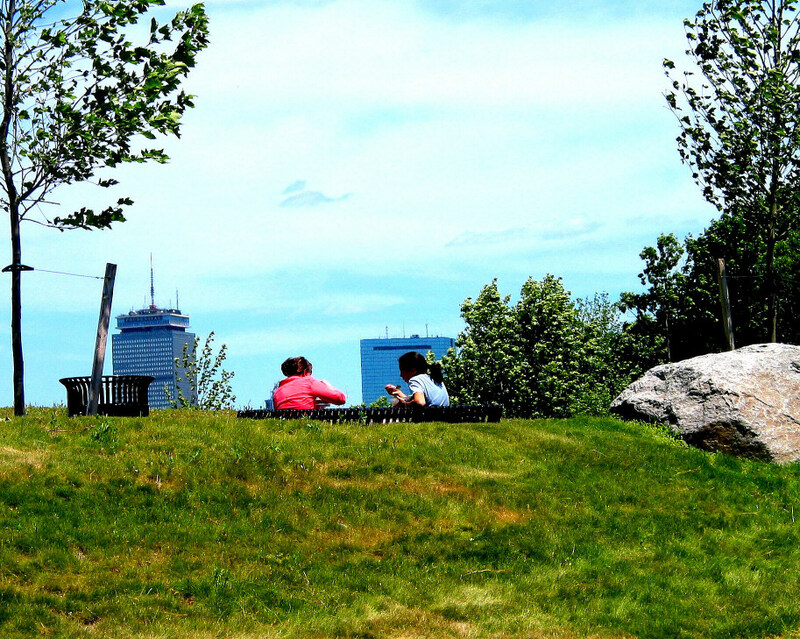 A gentle path takes you to the top of the park with a lawn area and benches offering you the opportunity to enjoy the dramatic views of Boston’s skyline. 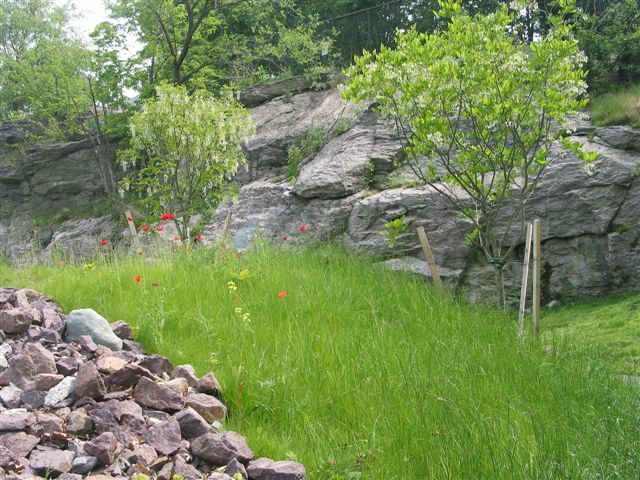 Continuing your walk down a winding path you experience the stone walls of the original 1843 stone quarry with fields of poppies on sloping meadows. Your final destination is the retail shops at One Brigham Circle and the grand stair down to Mission Hill’s new neighborhood center connecting you to Brigham Circle and the City of Boston. 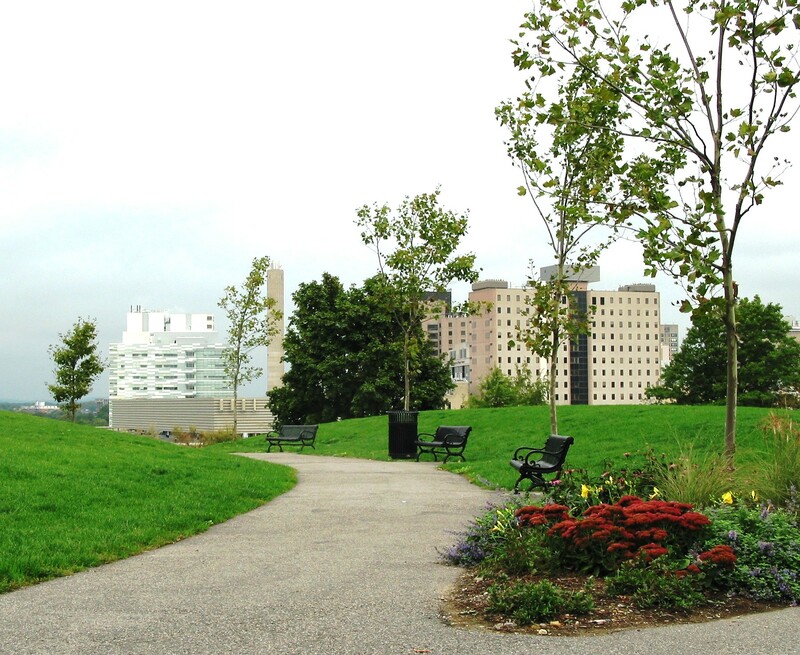 The Kevin W. Fitzgerald Park was constructed by the One Brigham Circle development project. Funding for the Park was provided by the Edward Ingersoll Browne Trust and One Brigham Cirlce LLC. 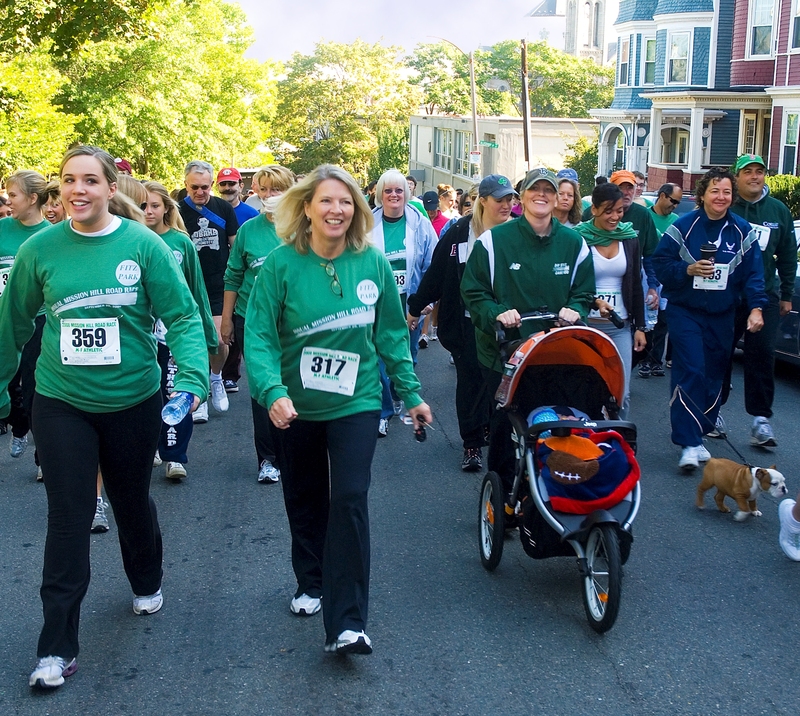 The Park is owned by Friends of Puddingstone Park, Inc., a nonprofit corporation. Thank you for your cooperation Friends of Puddingstone Park, Inc.